Pristine pond front home located in popular residential neighborhood Nags Head Pond. No flood insurance required and sits high and dry. Large Â½ acre landscaped homesite w/ irrigation, fenced in backyard, numerous outdoor gathering spaces overlooking the pond, paver patio with fire pit, covered deck, sun deck and outdoor shower. Well appointed details throughout! 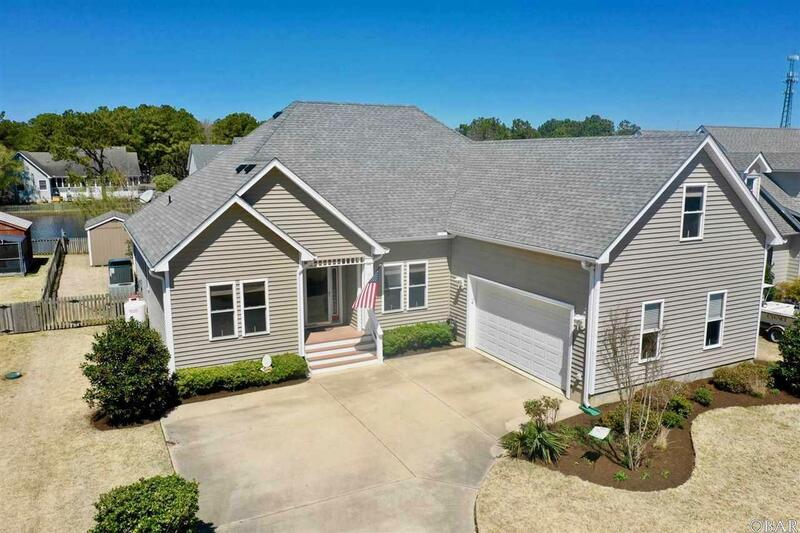 Front entry into an open floor plan with 9' ceilings throughout & oak hardwoods through the living areas & bedrooms with tile floors in foyer, kitchen, baths & laundry. Spacious great room with gas fireplace, formal dining, large kitchen with custom wood cabinets, granite countertops, and stainless steel appliances. The master suite boasts pond views and a spa like master bath with radiant heated tile floor, large whirlpool soaking tub, separate glass & tile shower, double vanity, private water closet, and generous walk in closet with dressing room. 2 bedrooms and shared full bath are located on separate wing affording extra privacy for guests. Upstairs you'll find flexible living area with lots of potential and its own HVAC unit. Perfect for a bedroom, man cave, craft room, office or game room also includes a separate half bath. Gigantic floored attic for storage or possible future finished living space. Immaculate condition and lovingly maintained. Central location and walking distance to shopping, banking, restaurants, recreational parks and beaches.